Happy Friday everyone! Today is turning out to be an excellent day. First I was sent some brilliant socks from Catherine Tough (they are really nice, check out the website here), then I booked a holiday (a chance to wear sandals! Yay! ), and finally, I got my mitts on the new Grenson SS13 look book. You can imagine my excitement. You all know how much I love this brand. Anyway, here is my pick of my favourite styles for the new season. First up is Bethany, your Go With Everything boot. This crepe sole safari style is really easy to wear (I have a similar pair in green) and in this colour will literally never go out of style. A proper investment. Next: Tilda. 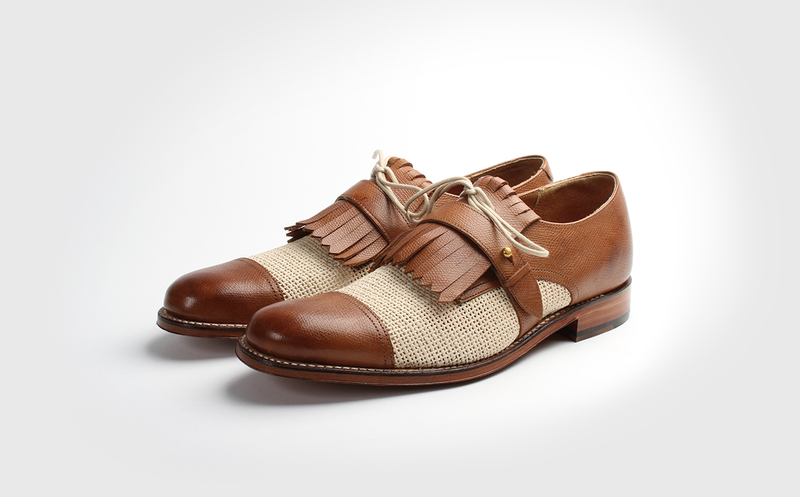 I love that I could imagine the Man from Del Monte wearing these, with a cream linen suit and panama hat. I also love the design of the strap over the fringed tongue, meaning it will stay in place nicely, rather than flapping about while you walk. Emily is a classic Grenson Girls’ style, and it’s been revamped this season in this lovely pale grey suede and steel blue too. 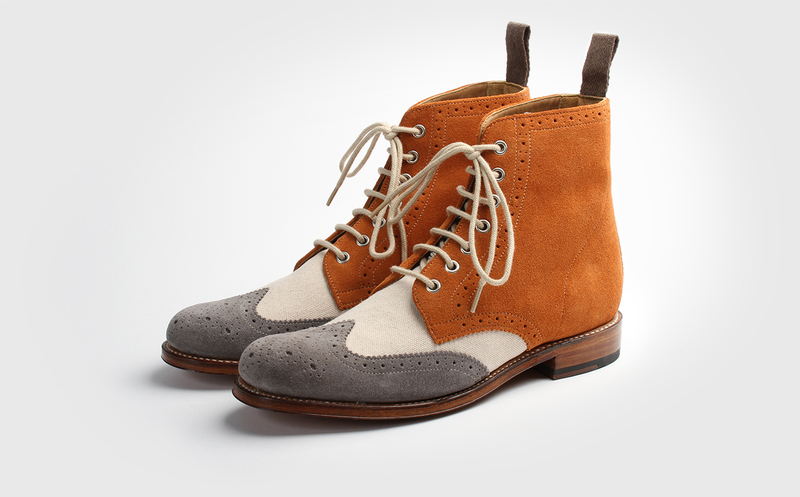 The boot version of this brogue style, Emma, is also available in the same colours. Finally, Ella, for the show offs out there. I find it’s much easier to show off with your shoes than with any other part of your look. How to make a very ordinary outfit look fantastic? Team Ella with some old jeans and a plain white T-shirt. Effortlessly cool. All of these style will be available soon on the Grenson website (here). What about for Mr En Brogue?! 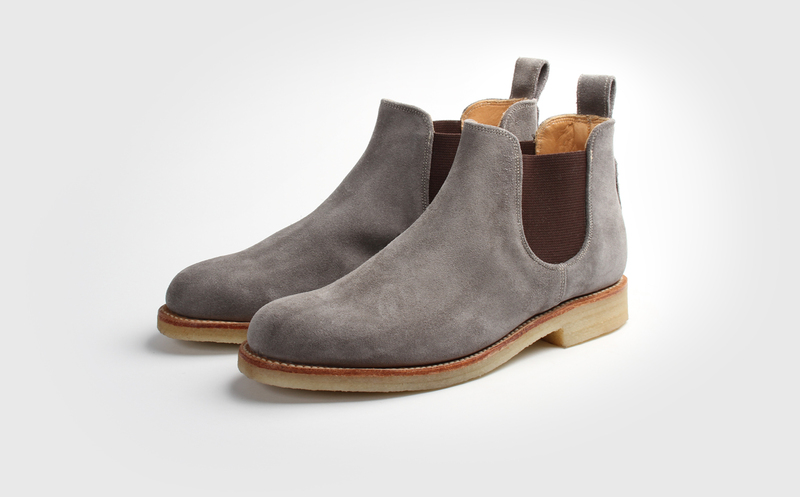 Loved every single one of these Grensons. And you haven’t even seen the rest yet! I love the Bethany style, I must purchase!